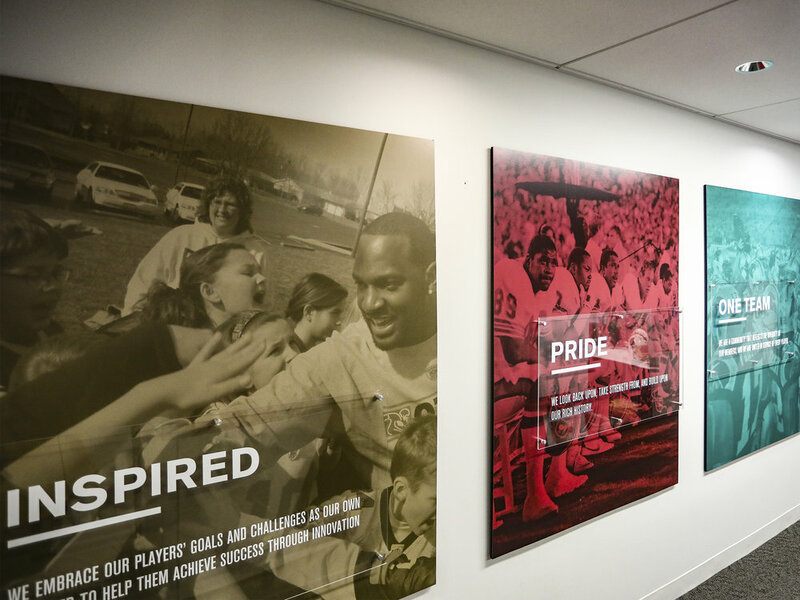 The NFLPA wanted to promote their "Vision & Values" throughout their offices, and so I was able to design large-scale graphics that embodied these Visions & Values. I wanted to pair imagery that encompassed the values along with the statements, and then visually have the written values stand out from the background. Each panel is 4' by 5' large, with 8 separate designs being made.